The story of the X Games begins in 1993 and evolves to 2003 with the start of X Games IX in L.A. This is a brief timeline on how the X Games arrived as the world’s signature action sports brand. From June 24 through July 1, the Extreme Games are held in Newport, Providence and Middletown, R.I., and Mount Snow, Vt. Athletes compete in 27 events in nine sport categories: Bungee Jumping, Eco-Challenge, In-line Skating, Skateboarding, Skysurfing, Sport Climbing, Street Luge, Biking and Water Sports. 198,000 spectators attend the first Extreme Games. Seven sponsors — Advil, Mountain Dew, Taco Bell, Chevy Trucks, AT&T, Nike and Miller Lite Ice — lend their support to the event.After enthusiastic response from the athletes, organizers, spectators and sponsors, ESPN decides to hold the event the following year, instead of every two years as originally announced. In October, it is announced that Rhode Island would be the location for the 1996 event. In late June, approximately 200,000 spectators turn out for X Games II in Newport, R.I. Kiteskiing, windsurfing and mountain biking are replaced by wakeboarding.The site of the first-ever Winter X Games is announced at a press conference on June 30. Snow Summit Mountain Resort in Big Bear Lake, Calif., would host competitions in snowboarding, ice climbing, snow mountain bike racing, super-modified shovel racing and a crossover multi-sport event. In March, the X Trials, a qualifying event for the X Games, begin in Providence, R.I. Additional X Games qualifying events, including the B3 and EXPN Invitational, are held each summer through 2002 in cities including Orlando, Fla., Louisville, Ky.; St. Petersburg, Fla.; Virginia Beach, Va.; Richmond, Va.; Lake Havasu, Ariz.; Nashville, Tenn.; and Bristol, Conn.From June 20 through June 28, a record crowd of 221,000 fans watches X Games III in San Diego and Oceanside, Calif. Snowboard Big Air amazes on-lookers with a 10-story jump comprised of hundreds of tons of manmade snow. Approximately 25,000 spectators gather over four days in January at Crested Butte Mountain Resort in Colo., for Winter X Games II. New sports include Freeskiing, Snowmobile SnoCross and Skiboarding. In April, the first-ever international X Games qualifying event is held. The Asian X Games features 200 athletes from the Pacific Rim competing in Phuket, Thailand for a limited amount of spots at X Games IV in San Diego.In June, the X Games tops its attendance mark for the fourth consecutive year as more than 233,000 spectators flock to Mariner’s Point in San Diego X Games IV. Crested Butte is once again the site for Winter X Games III. More than 30,000 attend the event in January, which features more disciplines, including women’s Freeskiing. From June 27 - July 4, X Games V in San Francisco attracts nearly 275,000 spectators. 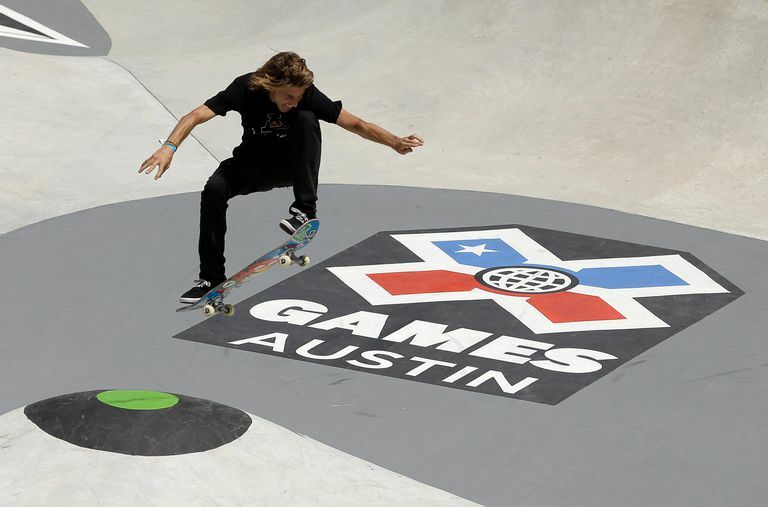 Those in attendance were treated to Tony Hawk’s first-ever “skateboarding 900” and the X Games debut of Moto X. ESPN announces that the X Games will now be held in August to allow for new marketing and programming opportunities. Winter X Games IV are held February 3-6 in Mount Snow, Vt. The first Winter X of the millennium features the largest crowds to date - 83,500 - and the debut of Winter X on the East Coast. 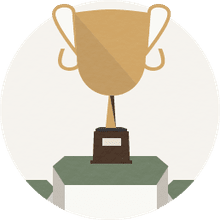 The new Snowboard SuperPipe competition is added. June through July, some of the world’s top skateboarders and BMX athletes hit the road traveling to skate parks across the United States as part of the inaugural Tony Hawk Gigantic Skatepark Tour, which is televised documentary-style on ESPN2. X Games VI takes place August 17-22 in San Francisco on Piers 30/32. A Moto X Step-Up competition is added. Announcements are made regarding the launch of several new ventures, including the Action Sports and Music Awards, International X Games Qualifiers and more. Winter X Games V is held February 1-4 for the second year in Mount Snow. Moto X Big Air at the Winter Games makes its debut. The inaugural Action Sports and Music Awards are held on April 7 to a packed crowd of 6,000 at the Universal Amphitheatre in Los Angeles. The event unites action sports athletes, sport legends, musicians and Hollywood celebrities, presenting the most explosive evening in the history of action sports. Celebrities LL Cool J, Rebecca Romijn-Stamos and Chris Klein host the event, which includes performances from the original members of Black Sabbath, Ben Harper & the Innocent Criminals, and more.Philadelphia hosts X Games VII August 17-22. Downhill BMX makes its debut, which is held at the Woodward Camp in central Pa. For the first time in X Games history, the events are held inside and outside an arena — the First Union Complex — where 234,950 spectators were in attendance. Winter X Games VI is held in Aspen, Colo. January 17-20 at the resort’s Buttermilk Mountain. Two new skiing disciplines are added: Ski Slopestyle and Ski SuperPipe. The event draws 36,300 spectators, as well as the entire 2002 U.S. Olympic Snowboard Freestyle team, all of whom compete in Winter X Snowboard SuperPipe just weeks prior to the Salt Lake City Olympics. In January, over 100,000 fans watched athletes catch air in front of Kuala Lumpur's picturesque Twin Towers while competing in the Junior X Games and Asian X Games Qualifier presented by Toyota. Athletes in the Junior X Games competed for trips to Camp Woodward in the US, while medallists in the Asian X Games Qualifier earned spots at the X Games VIII in Philadelphia, PA.March 21-24, ESPN along with its partners, hosted the inaugural Latin X Games Qualifier in Rio De Janeiro, Brazil. More than 200 of Latin America’s best action athletes from Skateboard, Bike Stunt, Aggressive In-line Skate, and Wakeboard competed for a spot to X Games VIII. Over 37,500 spectators attended the event and over 30 million households tuned into Globo’s coverage of the event. The second annual ESPN Action Sports and Music Awards are held on April 13 at the Universal Amphitheatre in Los Angeles. Jay Mohr hosts the event. Musical performances by the Red Hot Chili Peppers, Jay-Z with an all-star band, X-Ecutioners featuring Xzibit and Static X, Unwritten Law and 3rd Strike entertained the venue-filled crowd of 6,000. On May 10, Touchstone Pictures and ESPN present the major motion picture ESPN’s Ultimate X to large-format theatres across the country. The film chronicles the breathtaking highlights and dramatic stories behind X Games VII and showcases the eye-popping skateboarding, BMX biking, Moto X, and street luge competitions on the giant screen for the first time. In July, ESPN’s European X Games Qualifier II saw athletes from 20 European nations compete in front of 35,500 spectators who came to Barcelona’s Olympic Pier to witness three whole days of adrenalin action. In the end, 10 athletes from Spain, UK, Germany, France and Sweden qualified to Philadelphia USA for X Games VIII. X Games VIII returns to the First Union Complex in Philadelphia August 15-19. Another park course is added to accommodate the unique riding style of skateboarding. Women’s Skateboard and Moto X exhibitions are featured. The average per day crowd at the First Union Complex is 40,210, a new record for the X Games. The overall crowd count totaled 221,352, including the X Games’ two-millionth fan. X Games VIII was the most-watched X Games ever as nearly 63 million people tuned in on ESPN, ESPN2 and ABC Sports. X Games Skateparks open in Franklin Mills in Philadelphia, Pa. (Aug. 26); Colorado Mills in Denver, Colo. (November 14) and Grapevine Mills in Dallas, Texas (December 3).On November 21, ESPN selects Los Angeles to host X Games IX and X. The event’s primary venue will be inside and around STAPLES Center (Aug. 14-17), with ancillary venues at the Los Angeles Coliseum, Woodward West, Huntington Beach and others. Winter X Games VII is held in Aspen, Colorado for its second year featuring the sports of Moto X, Ski, Snowboard and Snowmobile. Attendance over the four-day event is increased by more than 12,000 from last year, with a total of 48,700 spectators. Average viewership for Winter X Games VII across the three networks that carried coverage — ESPN, ESPN2 and ABC Sports - set an all-time record for the signature winter action sports championship event. Including all telecasts, the three networks garnered an average of 412,673 households, the highest in the event’s history and a 33% increase from the 310,810 average households for Winter X Games VI (2002). ESPN successfully executes the inaugural X Games Global Championship, held May 15-18. The first-of-its-kind team event features six world regions competing against each other in summer and winter action sports at two simultaneous venues: San Antonio, Texas and Whistler Blackcomb, B.C. Combining both venues, Team USA registered a cumulative total of 196 points, edging out Team Europe, which finished second with 167 points. In total, 69,260 spectators came to cheer on their favorite teams at X Games Global Championship.On June 17, ESPN announces the return of Winter X Games to Aspen/Snowmass for a third winter – an unprecedented move for X Games. July 1 kicked off a 41-day X Games tribute at Disney’s California Adventure™ in Anaheim, Calif., titled X Games Xperience. Guests of the newest theme park inside the Disneyland Resort were immersed in a fast-paced array of activities inspired by ESPN’s X Games, including interactive activities like Moto X big air demos and Vert ramp demos featuring X Games athletes. X Games IX makes its debut in Los Angeles August 14-17 in its primary venue at STAPLES Center. Additional venues are in and around Los Angeles, including the Los Angeles Coliseum. Total attendance for the event is 187,141, including a one-day attendance record on Saturday (8/16) with 67,500. X Games Surfing also successfully debuts to a crowd of 25,500 in Huntington Beach and women’s Skateboard Park and Vert are made official X Games competitions. The telecast aired on ESPN, ESPN2 and ABC and featured a live Bike Stunt Vert competition on ABC. It also captured the sought-after 12-17 year-old demographic, which achieved record results. People aged 12-17 increased 10% from last year’s telecast with an average of 162,621 viewers across all three networks. ﻿X Games 12 is held in Los Angeles August 3-6 adds the sport of Rally Car Racing and the new discipline of BMX Big Air to its sport lineup. More than 138,000 fans attended the competition at The Home Depot Center and STAPLES Center, an increase of nearly 13 percent over X Games 11 in 2005. X Games 12 was also ESPN's highest-rated X Games ever among young men in the 18-34, 18-49 and 25-54 age groups. For the first time, X Games was aired 24 hours each day of the event using ESPN, ESPN2, ABC, ESPN Classic, EXPN.com, ESPN360, Mobile ESPN, ESPN International, iTunes and provided unprecedented round-theclock coverage including a first-ever Pay-Per-View offering for BMX Big Air and an X Games Moto Madness demonstration. Thanks to ESPN for providing this brief history of the X Games. Get more info and help with the X Games on the X Games Guide.